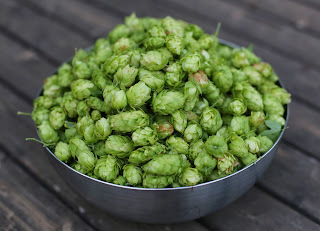 We had a large crop of hops this year, and have contracted out beer-making to two different parties. There's understood to be a tax on the finished product, and I will report back on the quality. Wow, that's a lot of hops! I'd like to see a picture of the vines.